The farmhouse style has quickly become one of the most popular home decor styles in the country, and for good reason. 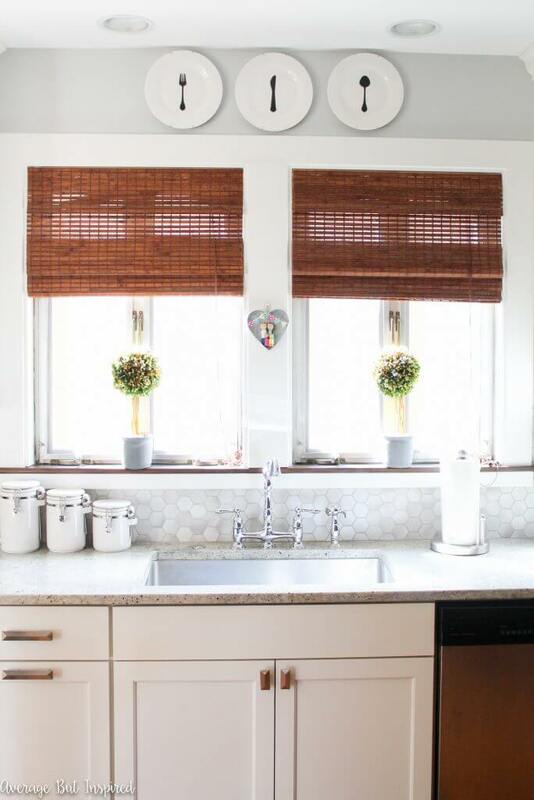 This popular trend blends rustic and modern in a way that gives your home a warm, fresh feel. This look features neutral colors and clean whites that will fit in well with almost any color scheme. It is easy to incorporate this style into any room of your home, from living spaces, kitchens, bedrooms and bathrooms. A few elements here and there can give an entire room the farmhouse style. Many stores now sell decor items in this trend, but you do not have to spend a lot of money to get this look. You can even make a lot of these items yourself and save a lot of money. While this style looks expensive and difficult to achieve, there are many projects that you can easily make yourself. The materials needed for these projects are inexpensive and easy to find, but look like you bought them at a high-end decor store. In fact, you can find many of these items at your local dollar store. Below, we have 13 DIY dollar store farmhouse decor ideas of some beautiful projects you can make for your home. These adorable plates with fork, knife and spoon details will look perfect hanging anywhere in your kitchen. This DIY project starts with cheap white plates you can find at any dollar store. You can make these in an afternoon and have them up in your kitchen before dinner. Nothing warms up a room like the soft lighting from a sconce. These lights can be hung in any room and look great in your living room, dining room or bedroom. This is one of the more challenging DIY dollar store farmhouse decor ideas as it requires a few more tools and know-how, but this is still an easy project you can complete in a few hours. 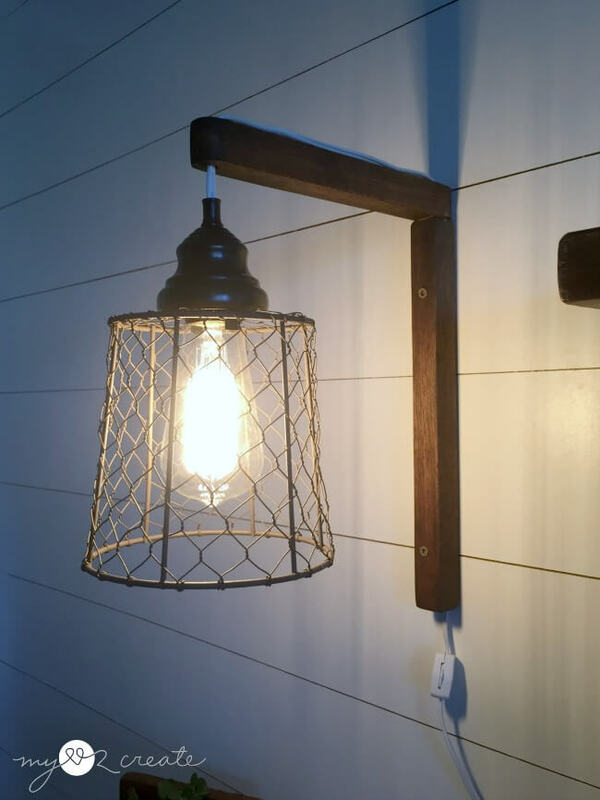 It allows you to repurpose basic pendant lights to achieve a farmhouse look. 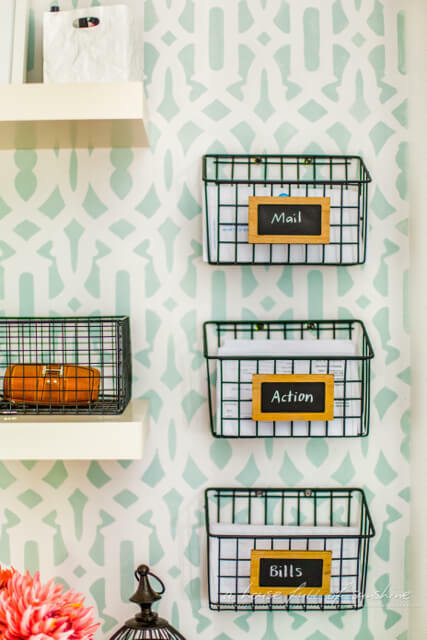 Blizzards of letters, bills and to-do lists on a desk or foyer console table are quickly cleared up with tidy little wire baskets attached to the wall. Bite-sized plaques painted with chalkboard paint and attached to the baskets keep everything separate. These nifty baskets are just the thing for your busy kitchen or home office where space is a premium. Some of the best DIY dollar store farmhouse decor ideas involve using a little greenery to give your home a cozy feel. These candle holders will look gorgeous on your mantle or bookshelf. They are very simple with items that are easy to find at your dollar store, including wooden candle sticks and metal cake pans. You can then dress it up with some live greenery. Another way to bring a little greenery into your home is with these DIY farmhouse topiary trees. You will pay high prices for topiary trees at a home decor store, but these trees can be made easily and inexpensively with materials you can find at the dollar store. 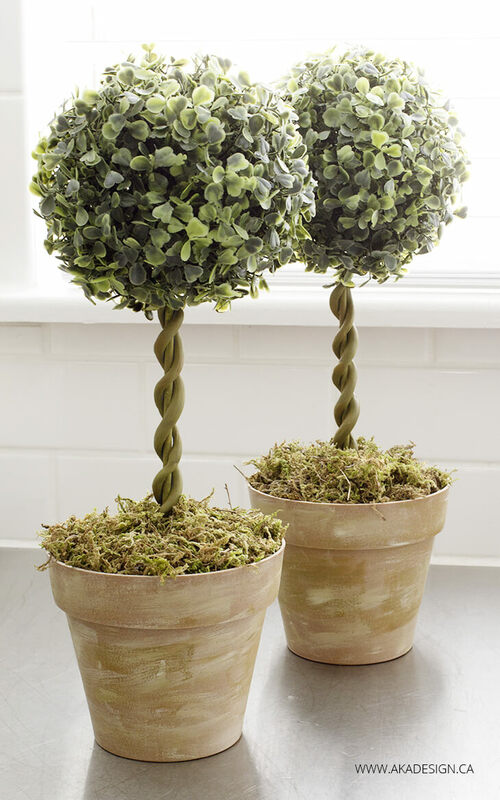 With an afternoon’s work, you can have some adorable topiary trees to liven up any living space. Vintage texts and fonts are a beautiful accent in the farmhouse decor. 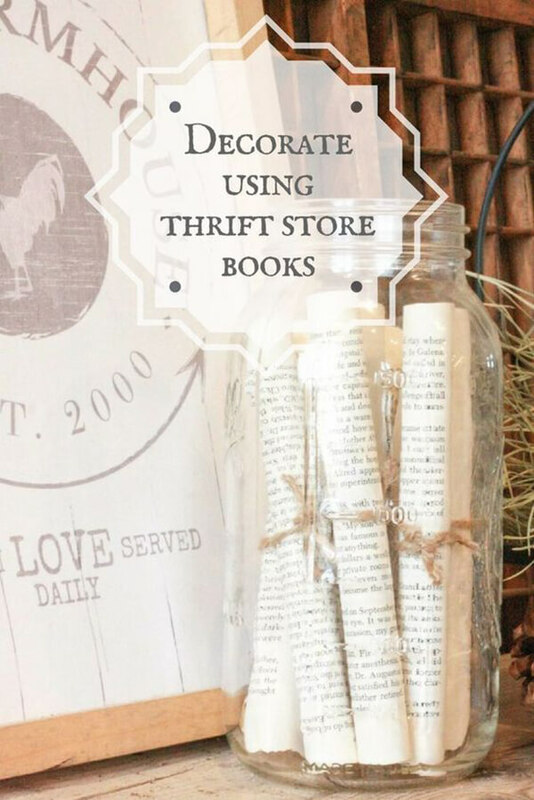 This easy project utilizes vintage books and jars and burlap string that you can find at almost any dollar store. You can put this together in less than half an hour and it will look adorable on a shelf or end table. 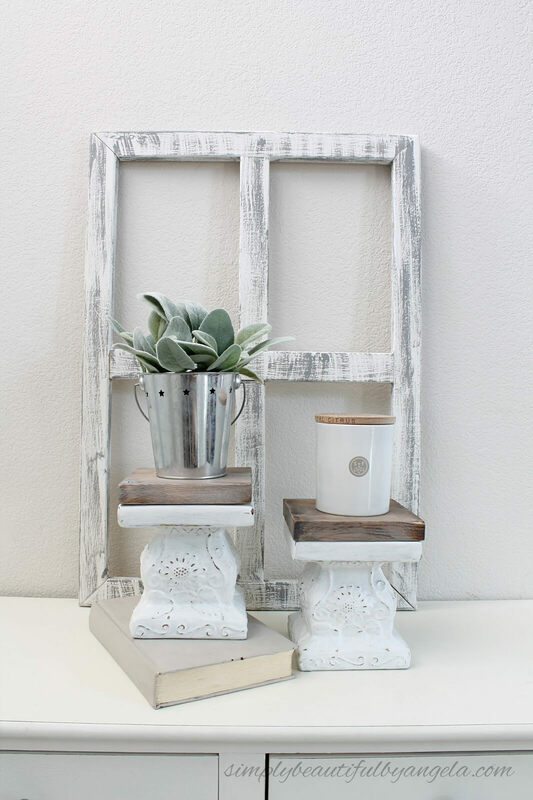 One of the cutest DIY dollar store farmhouse decor ideas are these repurposed pedestals. 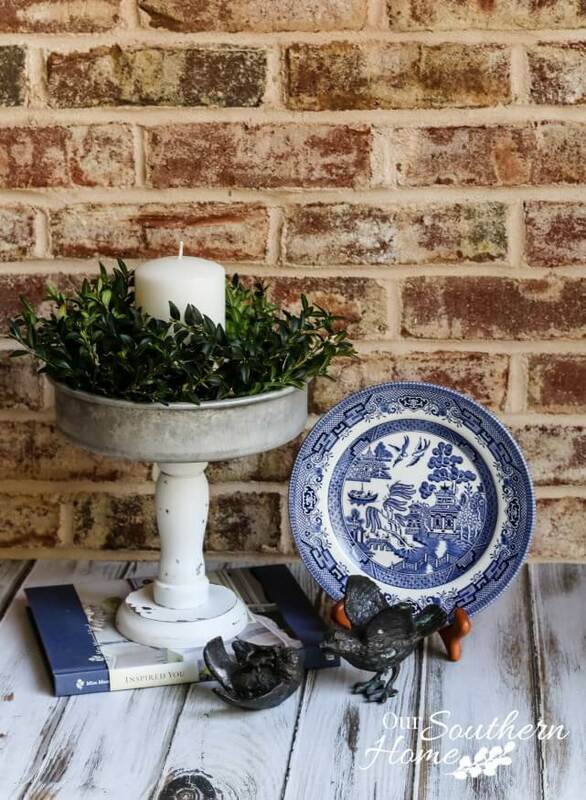 The project starts with simple pedestals from the dollar store, but with some paint, wood and distressing, you get these lovely farmhouse style pedestals that will be a welcome addition to almost any room in your house. These pedestals can hold anything from candles to foliage. These adorable herb planters serve two great purposes. They add a touch of color, warmth and greenery to your kitchen and allow you to grow fresh herbs, which is sure to liven up any meal. 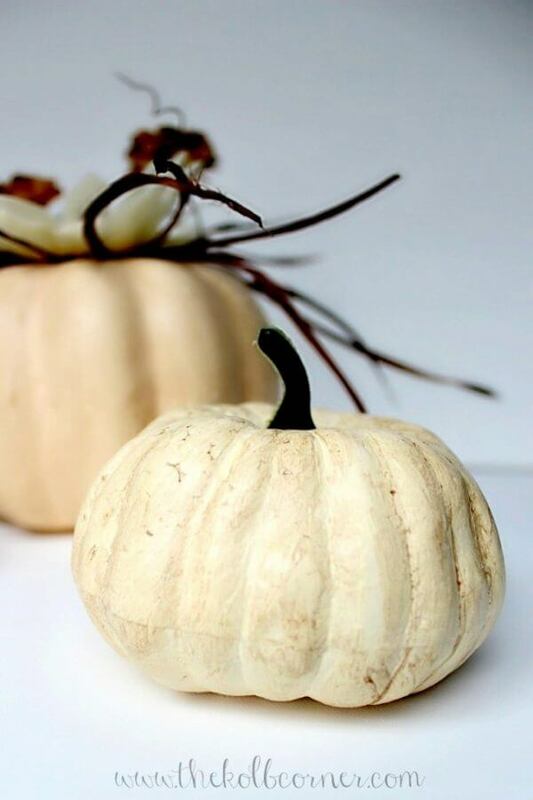 For a beautiful blend of fall and farmhouse decor, these rustic painted dollar store pumpkins are the perfect detail. This project starts with cheap plastic and foam pumpkins in bright colors. You can give the pumpkins a rustic, distressed look that will be perfect for your fall display. Nothing brings the farmhouse decor element to your home like a Mason jar craft. 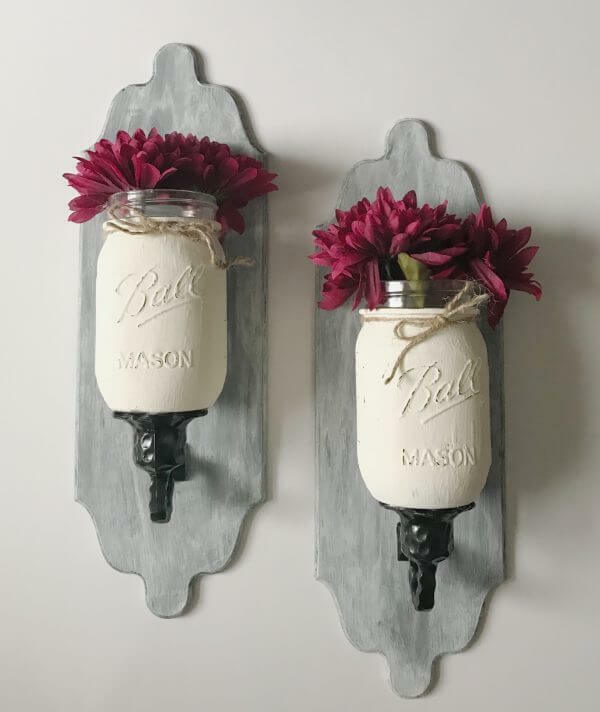 This easy DIY project uses plain wall sconces and Mason jars you can purchase at the dollar store. These will look lovely hanging in your living room or bedroom. Anything made from wood is the perfect accent for the modern farmhouse style. 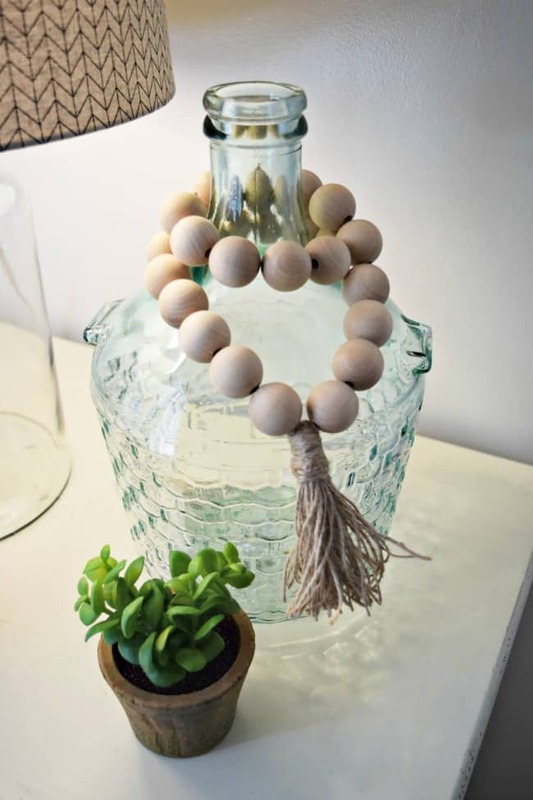 You can dress up a large jar, a shelf or a mantle in your home with this garland made from simple wooden beads. You can easily assemble it in a short time. 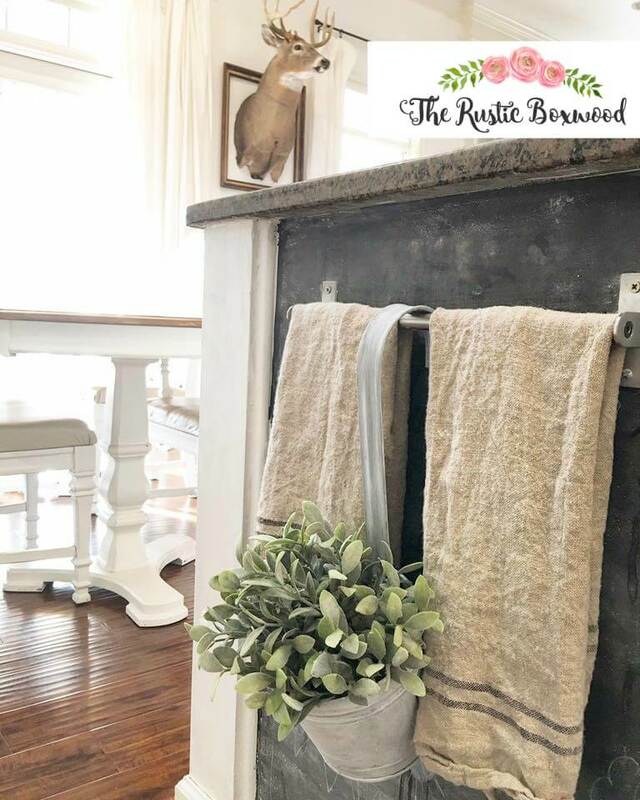 Another one of the best DIY dollar store farmhouse decor ideas uses a patina detail to give almost anything a rustic flair. 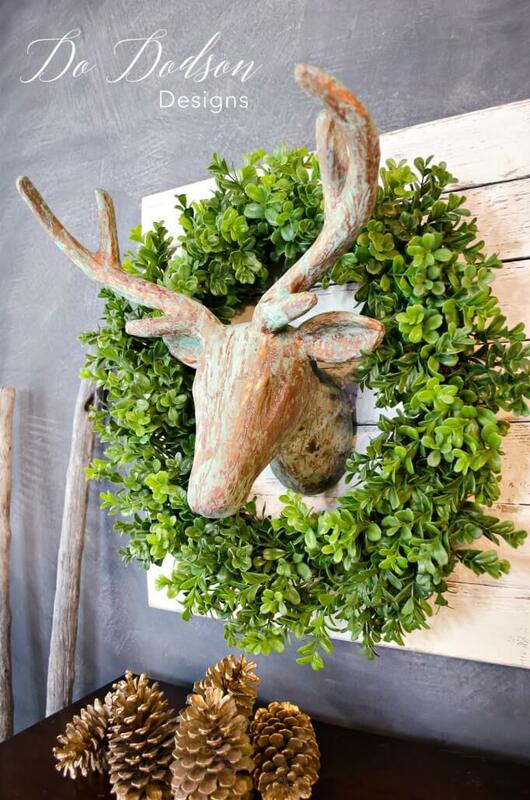 This paper mâché deer head can be styled with the farmhouse look with a simple copper patina that only requires a couple of coats of paint. Once it’s finished, you can hang it on a pallet wall and add some greenery, making it a beautiful focal piece for your living room. You can easily transform a variety of dollar store pots into the farmhouse style. 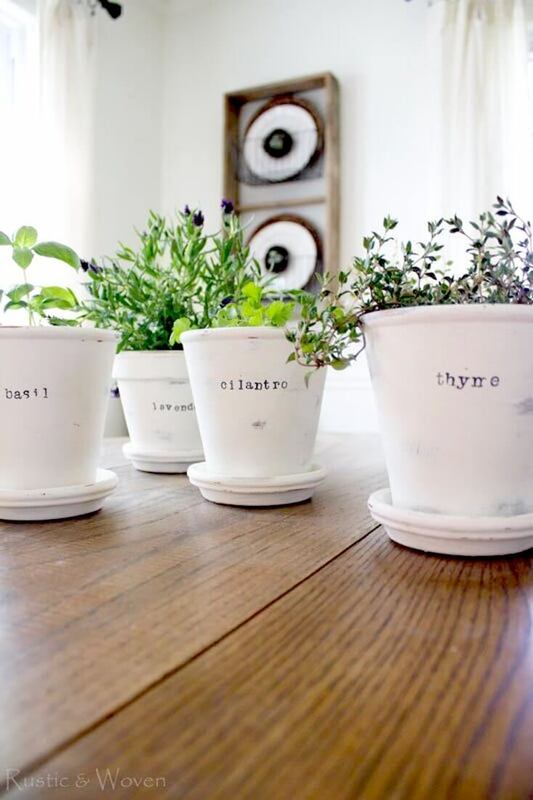 You can use these pots to hold any number of things around your home, from greenery to kitchen supplies.